If you own or manage a commercial property in Texas, you’re responsible for the well-being of your property, employees, and customers. Without proper surveillance in place, you jeopardize the safety of your assets and the people who work at or frequent your business. However, well-placed security cameras can not only protect your business, but also provide some significant benefits to boot. 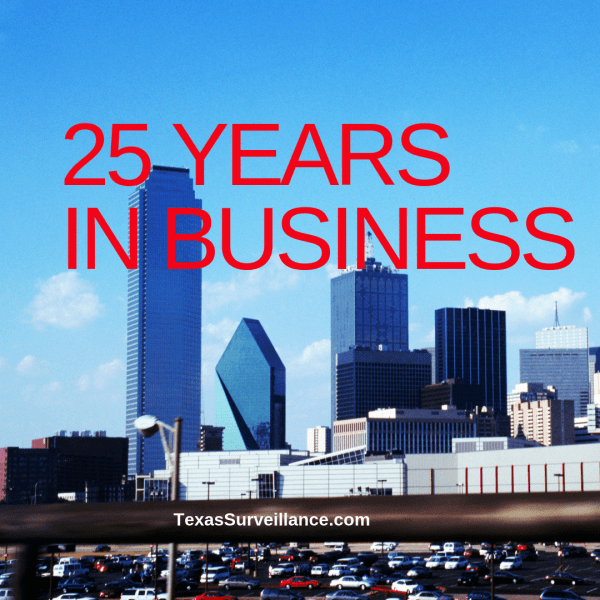 Discover the reasons why security systems for commercial problems are a must for your Texas business. Even if your commercial properties are in a safe neighborhood in Houston, that doesn’t necessarily make your business impervious to crime. While crime rates in both Houston and the Lone Star State are on the decline, there are still reasons to be concerned. According to the latest statistics, property crimes statewide fell from 2,759 incidents per 100,000 people in 2016 to 2,562.6 incidents per 100,000 people in 2017. Houston’s property crime level is another story. With 4,246 incidents per 100,000 residents in 2017, the property crime rate is 65 percent higher than the statewide average. This translates to a startling statistic: in Houston, you have a 1 in 24 chance of becoming a victim of property crime. Although Houston is still a wonderful place to live, these statistics show the underlying risk of crime in the Space City, and why you need to implement a security camera system. The risk of theft and vandalism from professional criminals or those who see an opportunity is always a threat, especially in a high crime city such as Houston. However, these aren’t the only threats to your business. According to industry studies, employee crimes are far more rampant than crimes committed by random individuals. Some studies claim that up to 75 percent of employees steal from their employer at some point during their tenure. As a result, it’s crucial to have strategically placed cameras to protect you from embezzlement, theft, vandalism, misuse of assets, assault, fraud, and even sabotage. Integrated security camera systems are set up in vital positions throughout the interior and exterior of your business to eliminate vulnerabilities and blind spots. Once installed, you can use the cameras to monitor activity both onsite or in a remote location. This allows you to keep an eye on the property, even when you have other obligations. Another benefit of security cameras is that you can record and store all of the footage of cameras in digital format. This enables you to review recordings by date and time if you suspect a crime at your commercial property. In addition, this footage is admissible in court, giving you something to aid the authorities in an investigation. With the right security plan and high-resolution cameras, you can protect every aspect of your business. Not only will you feel safer, but you’ll also deter theft and vandalism, reduce your insurance premiums, and hopefully, increase your bottom line. Contact us at Texas Surveillance and Security for a complimentary on-site assessment and security system proposal. This entry was posted in Security Cameras Houston and tagged business buildings security, business security, cameras for commercial buildings, commercial buildings, company security cameras, houston security cameras, industrial security cameras, security systems. Bookmark the permalink.